Click here for more excerpts from the booklet. The Style Council were one of the most influential forerunners of the modish acid jazz scene that exploded in the early 90s. The band's sound was a long way from Paul Weller's punk angst on display with The Jam in 1977. And it was a sound apart from Weller's later 90s revival as the godfather of britpop. The early incarnation of the band was probably Weller at his most mod, and most prolific. The final days of the band were undoubtedly Weller at his worst. TSC's combination of soul, jazz, and pop was enhanced by Weller's biting lyrics and social commentary. At the same time, his lyrics were punched up by music that was at times wistful, at times sharp, and always rhythmic and vibrant. Early TSC was more playful and energetic, but as the band, and Weller in particular, matured the music mellowed like a fine wine, without losing any of it's potency. 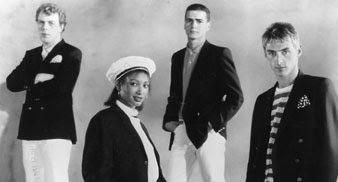 TSC put all the elements of acid jazz together in their own unique way. The earliest albums had a decidedly soulful flavor, mixed with the synthesized pop sound of the mid-80s, all of which later was enhanced by jazz and classical elements. Mick Talbot, once-upon-a-time mod scenester with a resume that boasted tours of duty with mod revivalists Merton Parkas, horny soul outfit The Bureau, and soul brothers Dexy's Midnight Runners, complimented Weller's guitar playing with a soulful style of playing that was Motown crashing Blue Note headon. Behind that was the driving force of Steve White's absolutely inspired drumming. White, a jazz drummer, auditioned at 17 and Weller hired him straight away. And alongside all of that, sharing vocal duties with Weller himself was the divine Dee C. Lee, for a shortwhile Paul's wife. Put all that together and you had one of the best, and undoubtedly underrated, bands of the 1980s. In the beginning The Style Council were more than just a band they were the modernist ideal, a collective of individuals whose own personal styles were continental and international, and all the time had that certain lounge feel that was slick and sophisticated, somehow so cool as to almost be unreachable for us average blokes. By the late 80s the band's sound had morphed into a soulful blend of organs and synthesizers, accompanied by strings and horns, with less and less guitar. In '88 Steve White left to pursue other projects, and in '89 Weller veered away from the well traveled paths of his past and produced a rave album of house music and dance tracks that his record company declined to release. The album finally made it to the streets on The Complete Adventures box set. Parts of it hard to listen too, sounding too much like Madonna with a bit more soul and piano. 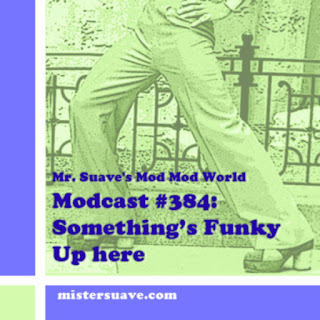 Other songs hint at the coming acid jazz sound mixing boogaloo with soul and funk. But, there are hundreds of other tracks so fantastic (and of course Weller's later work) that this can be overlooked. The song here is "A Man of Great Promise", which appeared on the second TSC album released in the US as Internationalists. It was written as a tribute to a friend of Weller's who died of a heroin overdose. The song is surprisingly upbeat and bouncy considering the lyrics, featuring bongos and a sort of latin vibe but with the superb arrangement and production that typified this whole era of the band.